Process Credit Card Payments Using QuickBooks®! Process the transaction with a gateway. 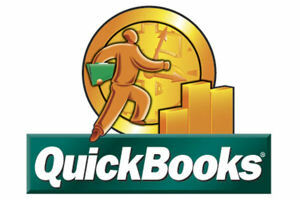 Enter the transaction manually in Quickbooks®. This "double-entry" is time-consuming and inefficient. With QuickBooks® SyncPay, merchants can process the gateway transaction, create an appropriate accounting entry and automatically mark the transaction as paid without ever leaving the QuickBooks® environment. QuickBooks® SyncPay Plug-In provides support for payment processing from directly within QuickBooks Pro®, QuickBooks Premier®, and QuickBooks Enterprise® (Version 2007+).